Wordless Wednesday–The Tomato is Always Redder…. 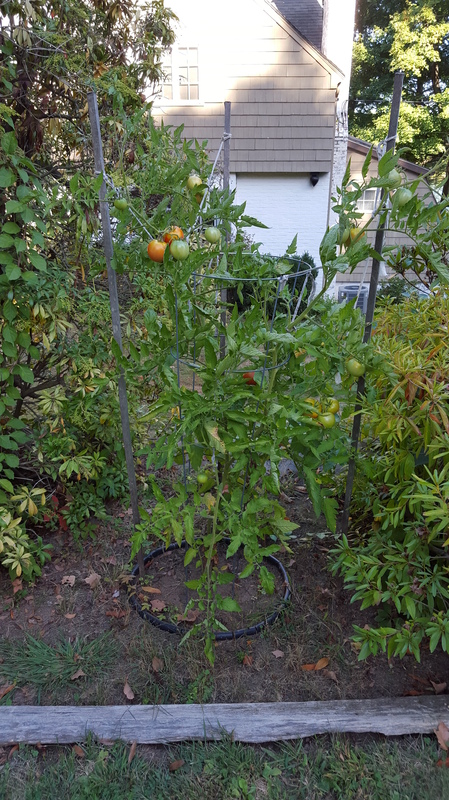 This is my neighbor’s Big Beef tomato plant. It’s one of a couple I’ve started for him and given to him. I literally started sputtering. This is what we had at home on our counters from our own plants. They were literally developing bad spots because we couldn’t eat them fast enough–and he’s coveting our neighbor’s tomatoes?! It’s a good thing we weren’t home. 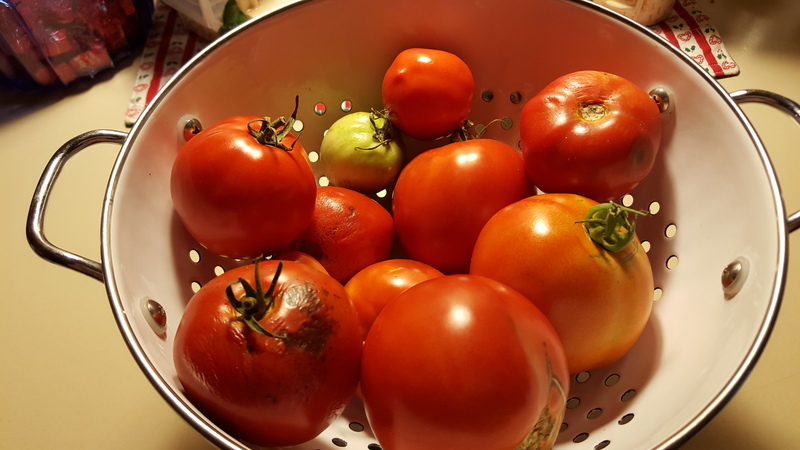 I might have “served them up” in a way that just might have wasted all my efforts in growing them–and caused me more work in cleaning the house! Next Article A Comprehensive Perennial Book–But Not For Beginners!